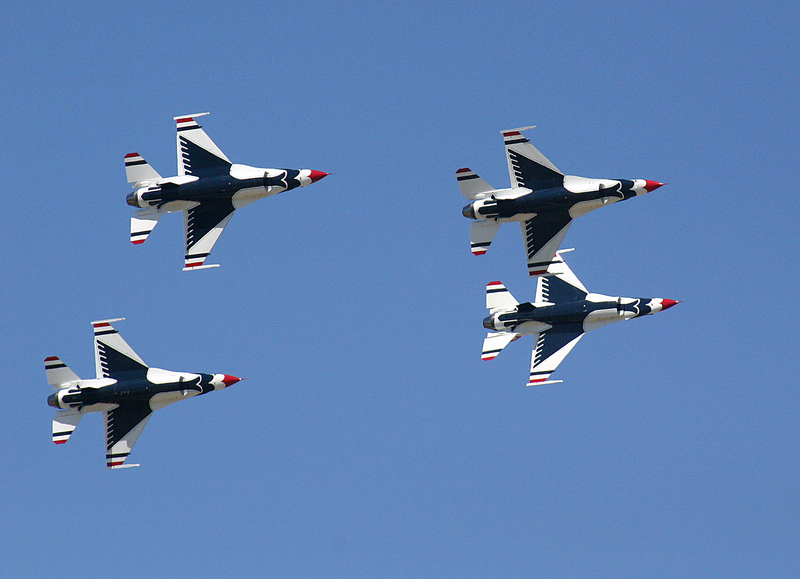 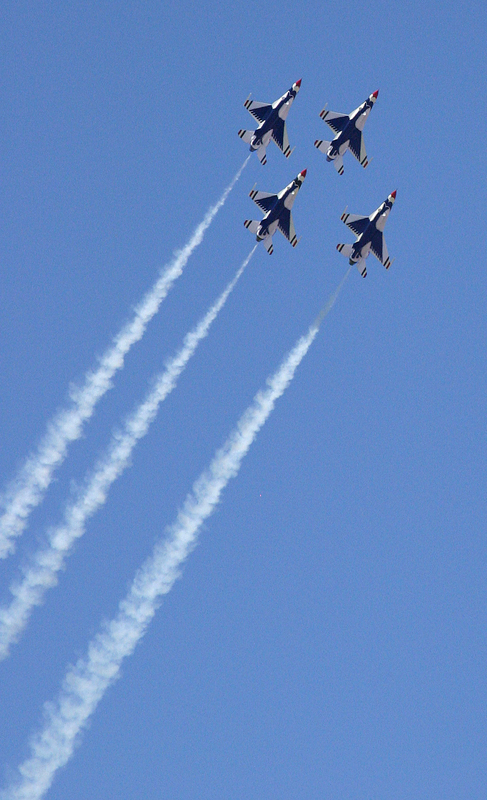 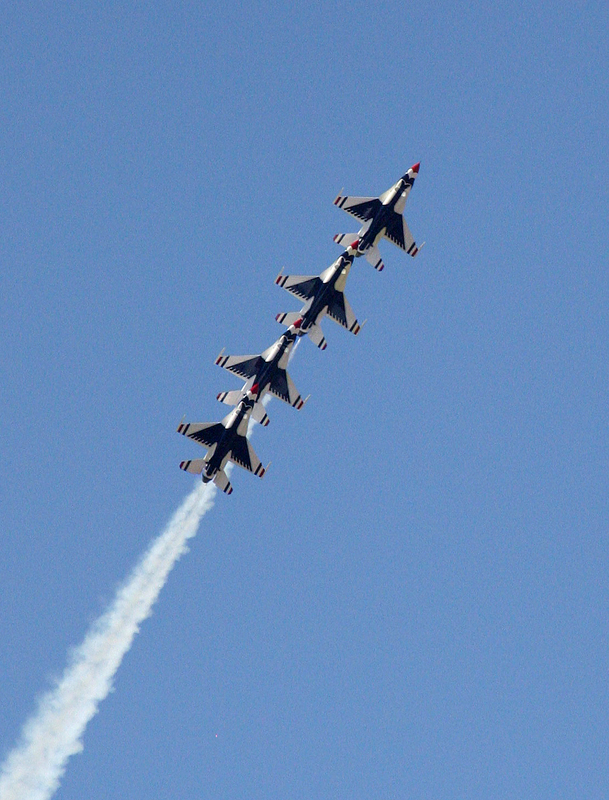 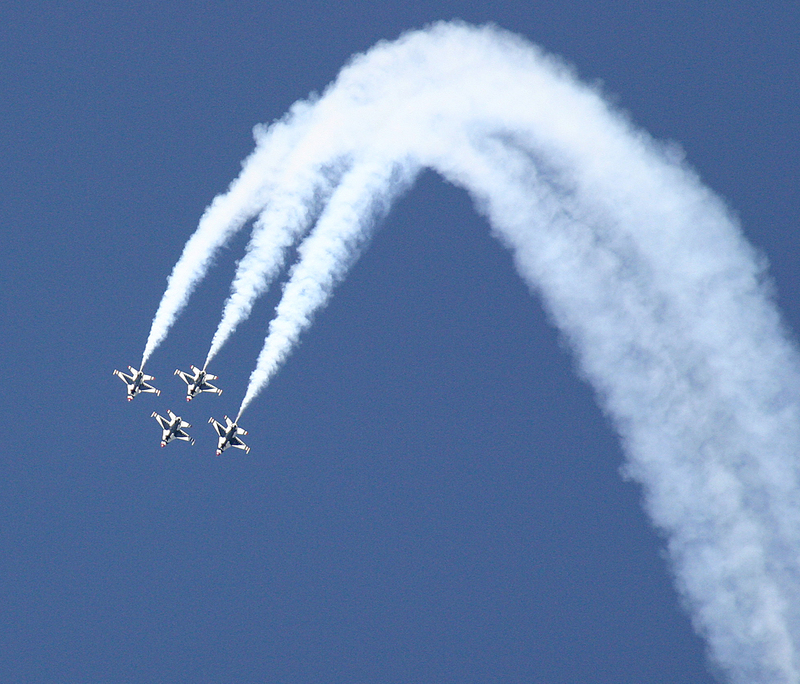 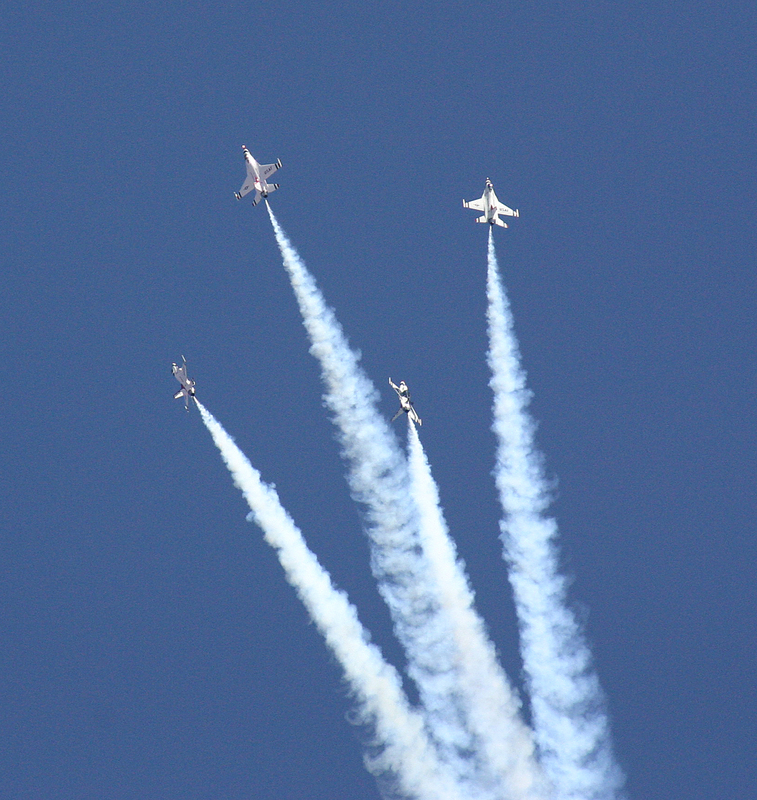 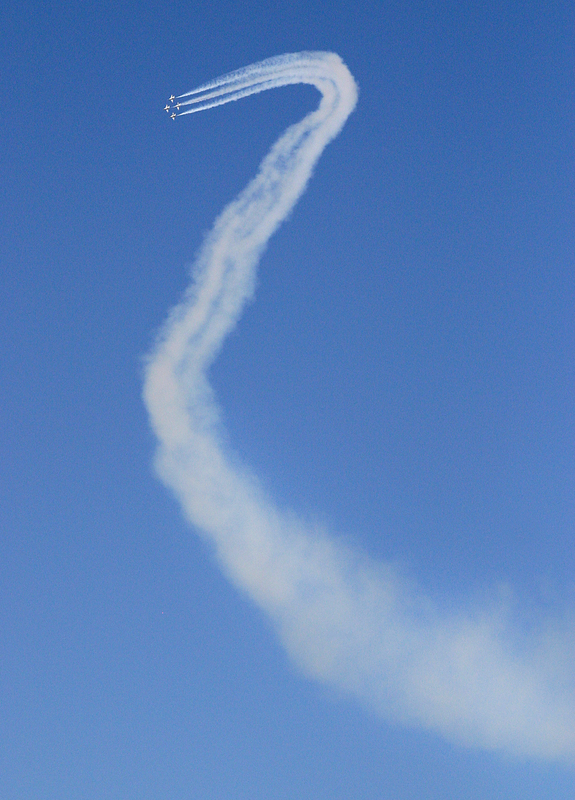 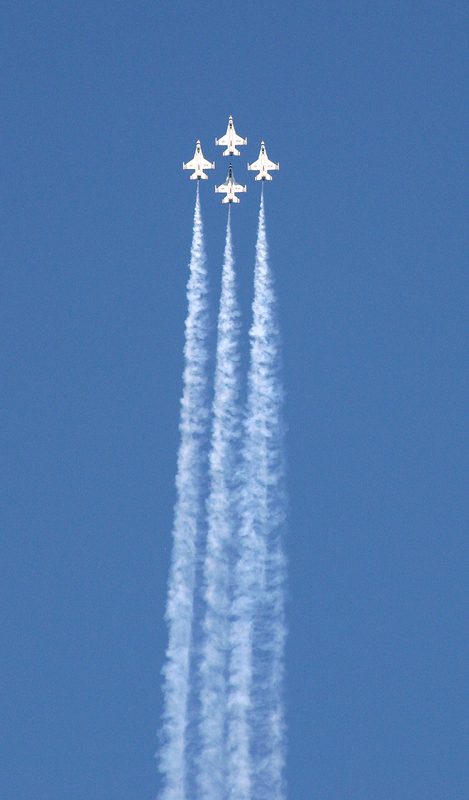 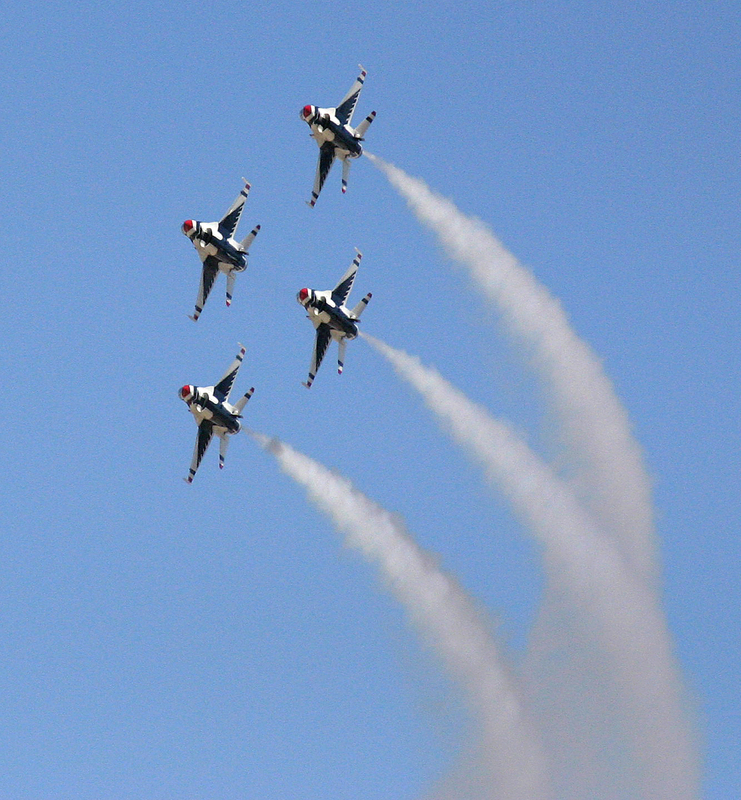 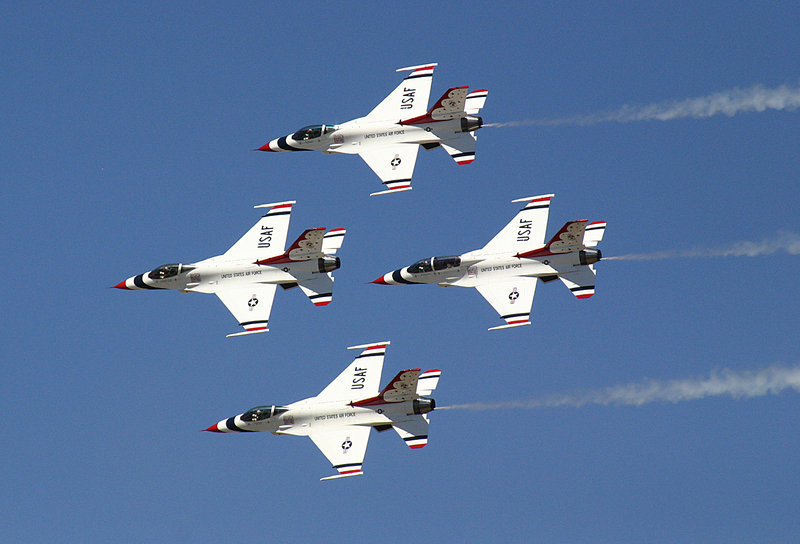 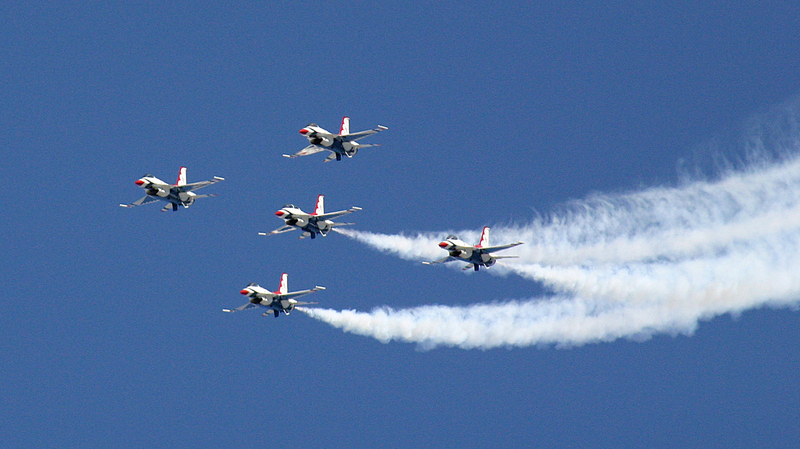 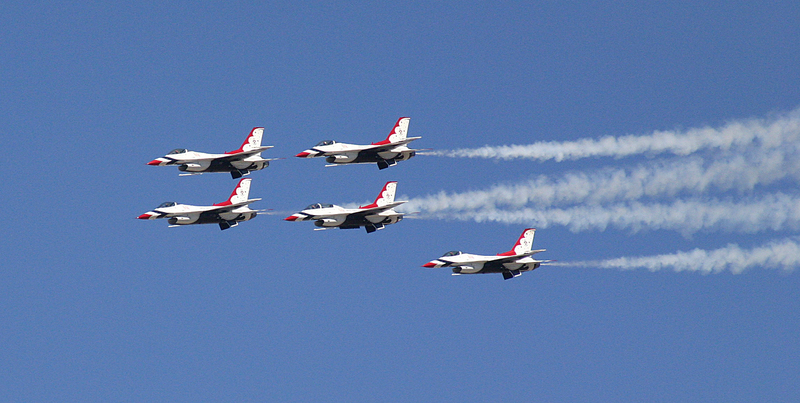 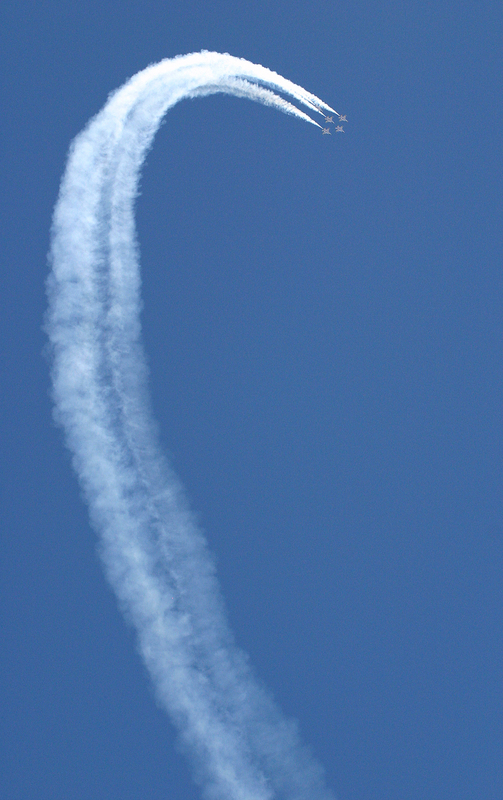 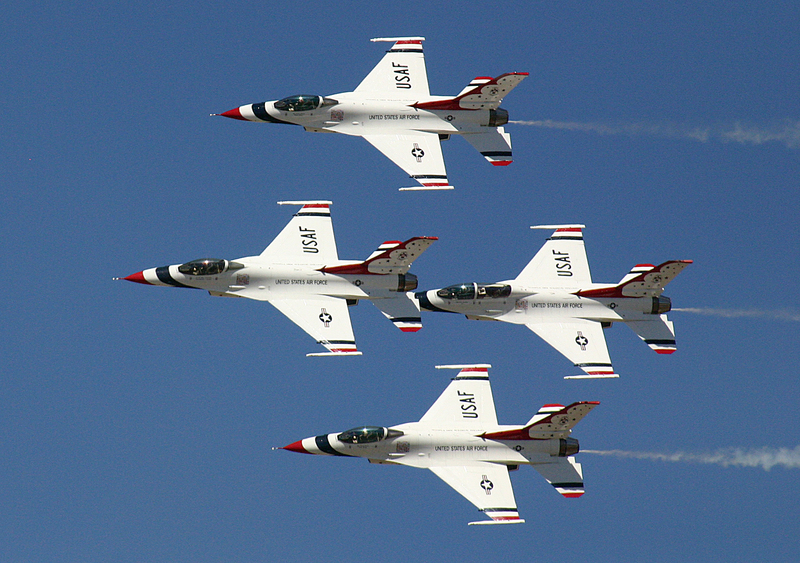 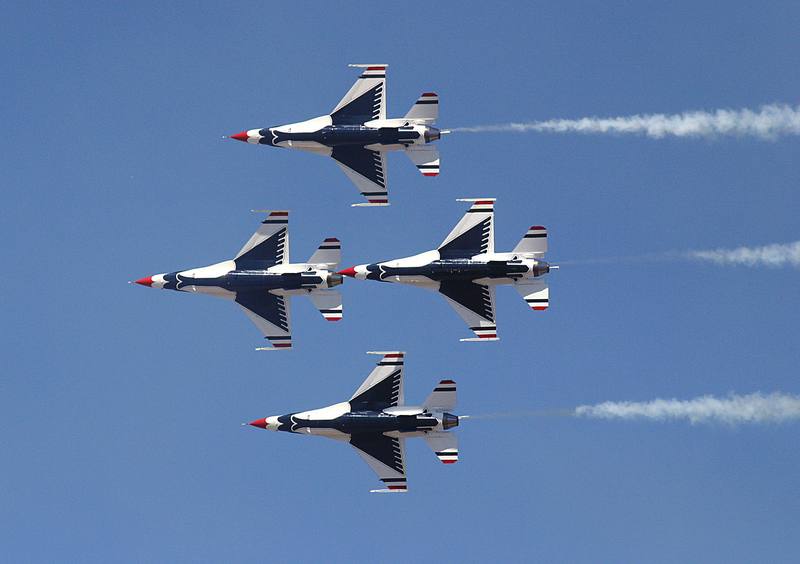 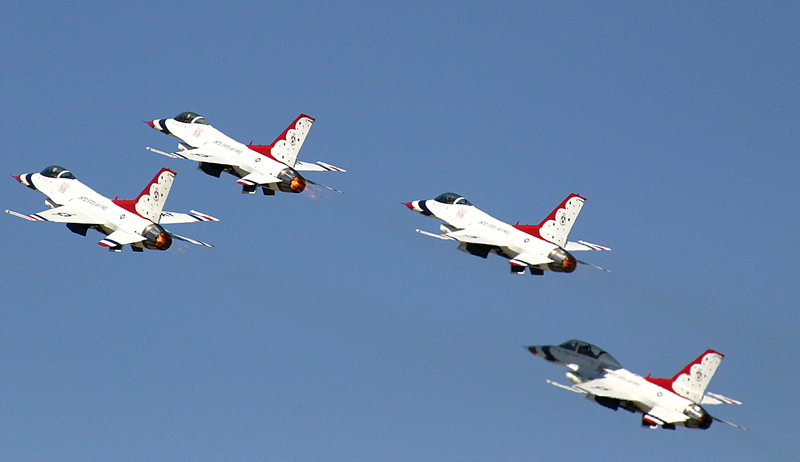 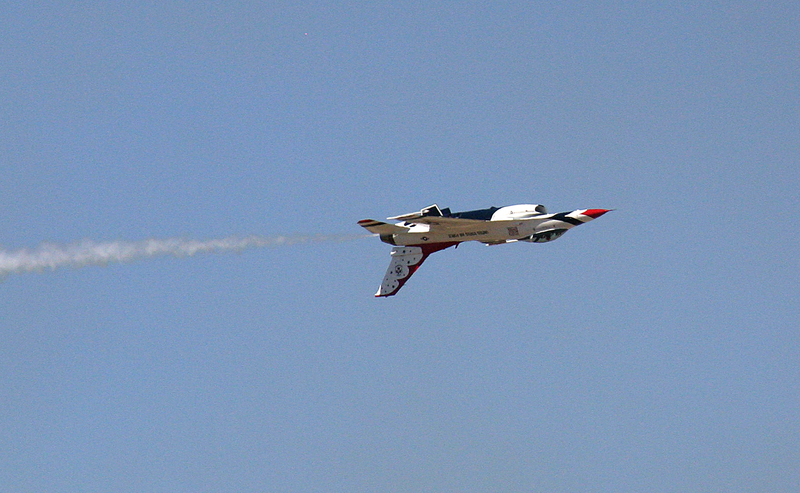 Just as the Navy Blue Angels were forced to cancel the remiander of the 2013 airshow season the same fate befell the United States Air Force Thunderbirds Air Demonstration Team. 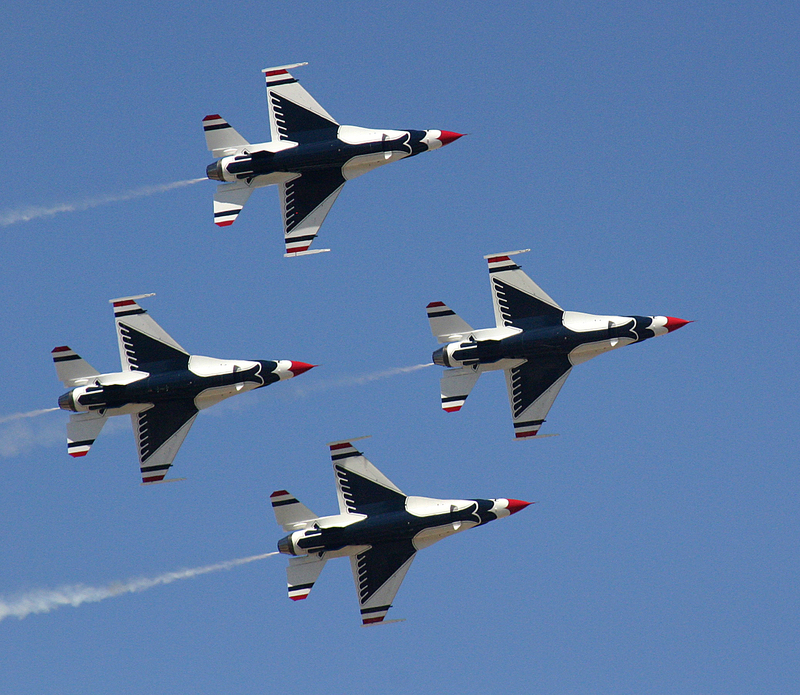 They also announced that they would not be performing any shows after March 31st. 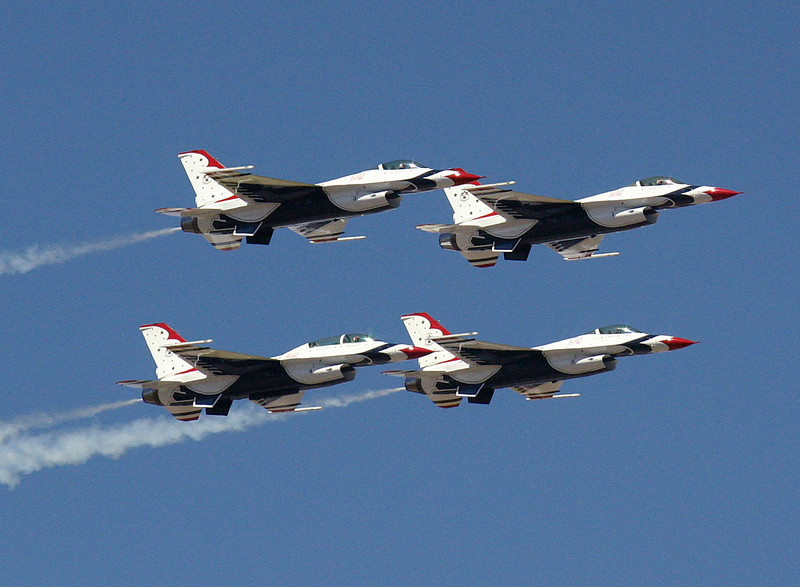 America’s “Ambassadors in Blue” travel across the United States and often visit other countries with their F-16 Fighting Falcon jets. 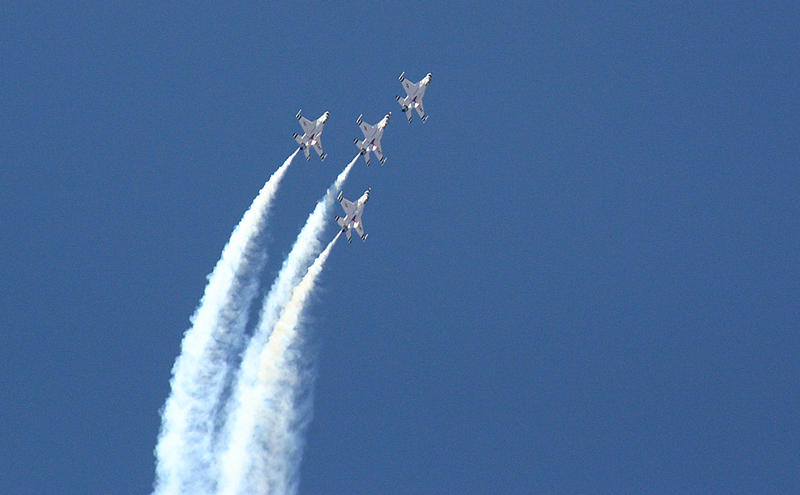 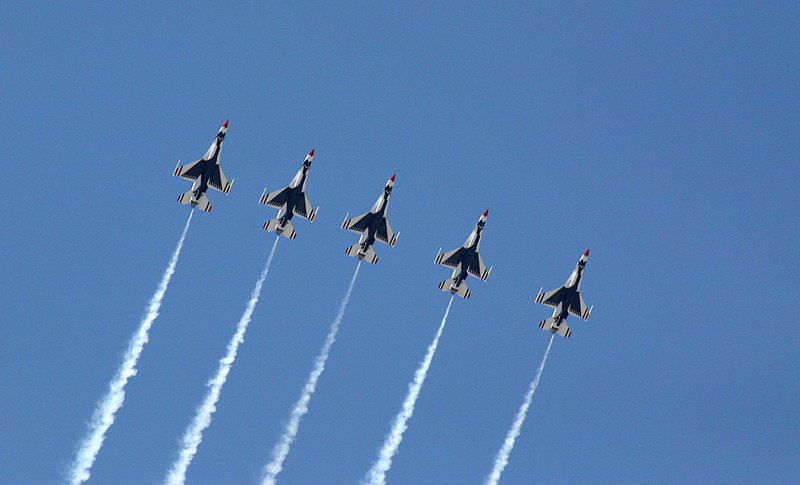 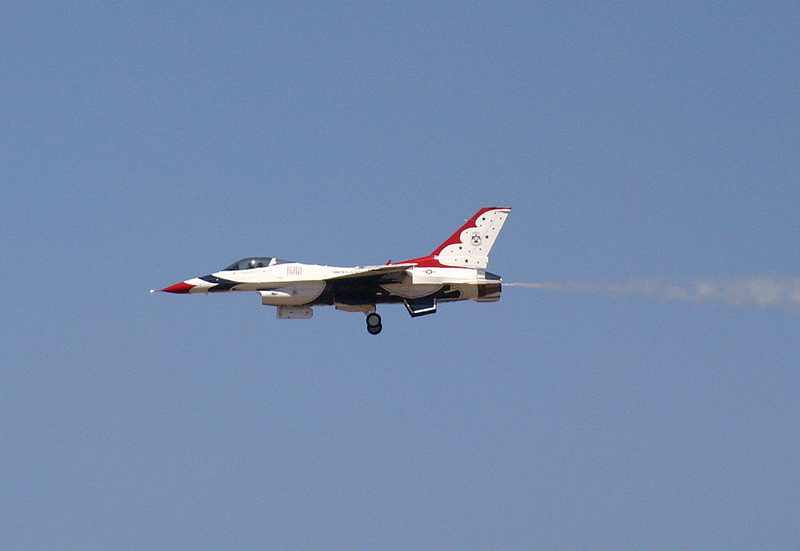 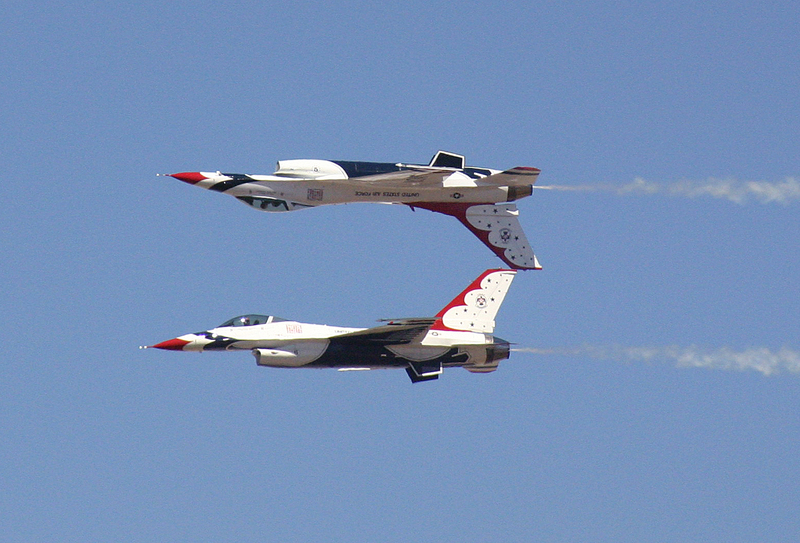 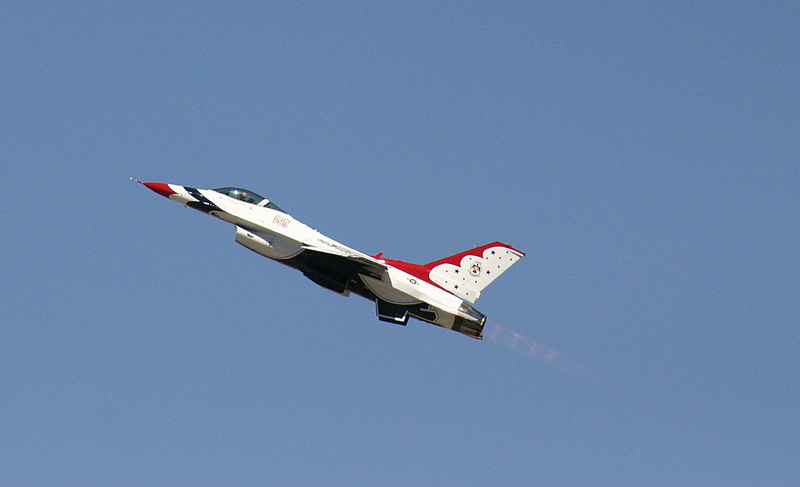 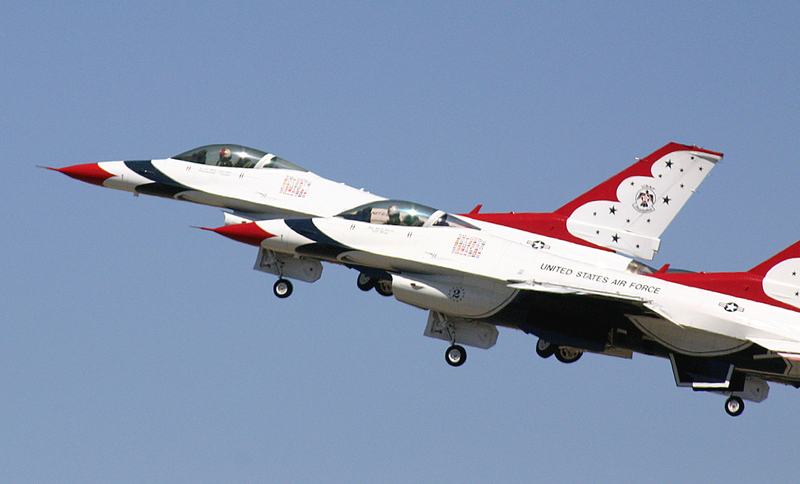 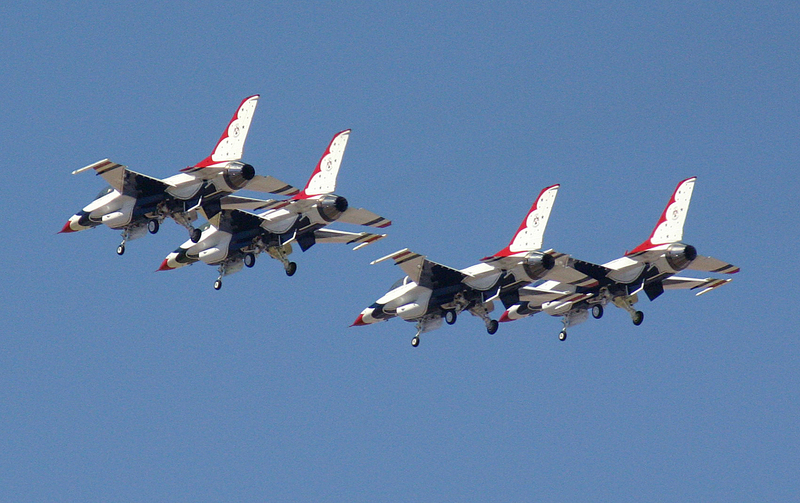 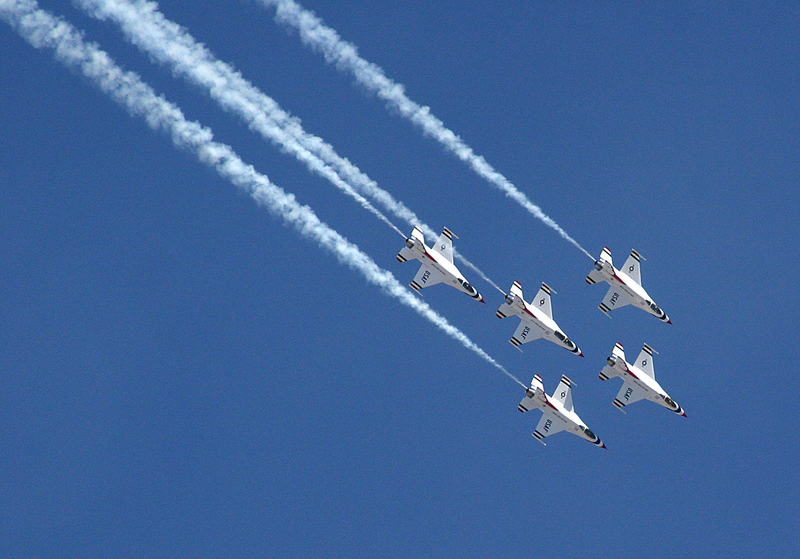 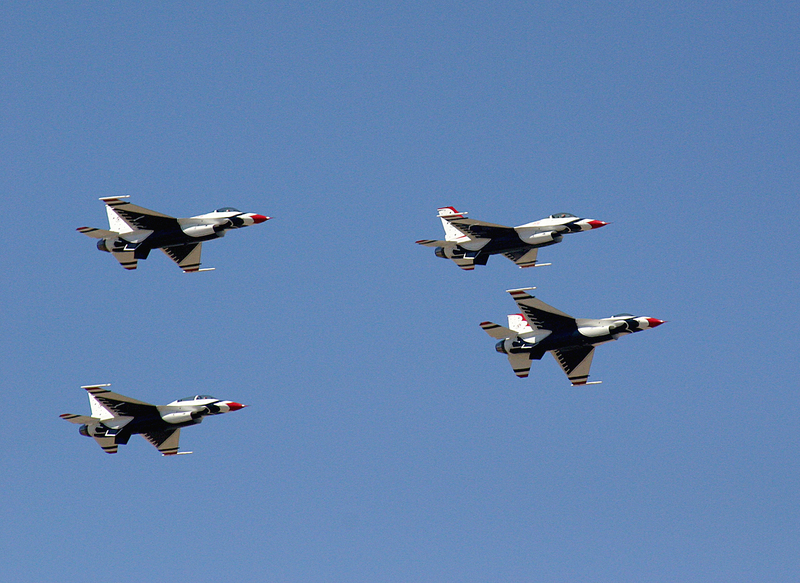 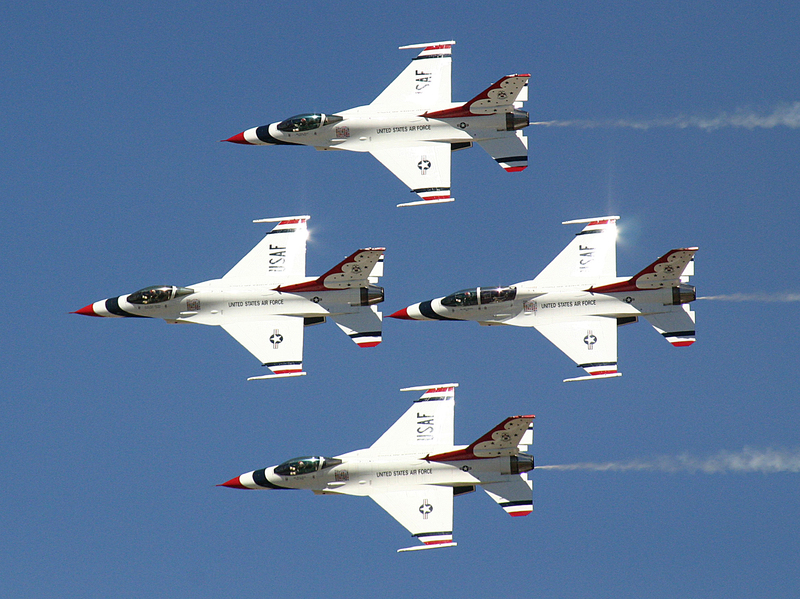 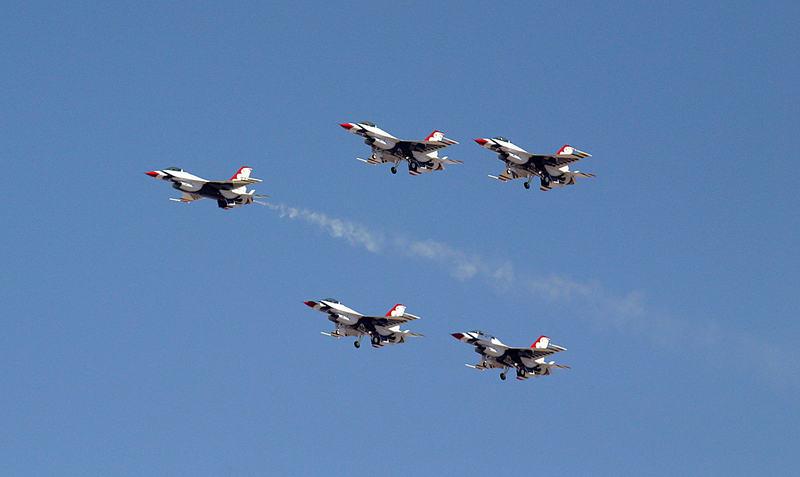 I have seen the Thunderbirds several times when they performed at the Castle Air Force base airshow and once at Moffet Field. 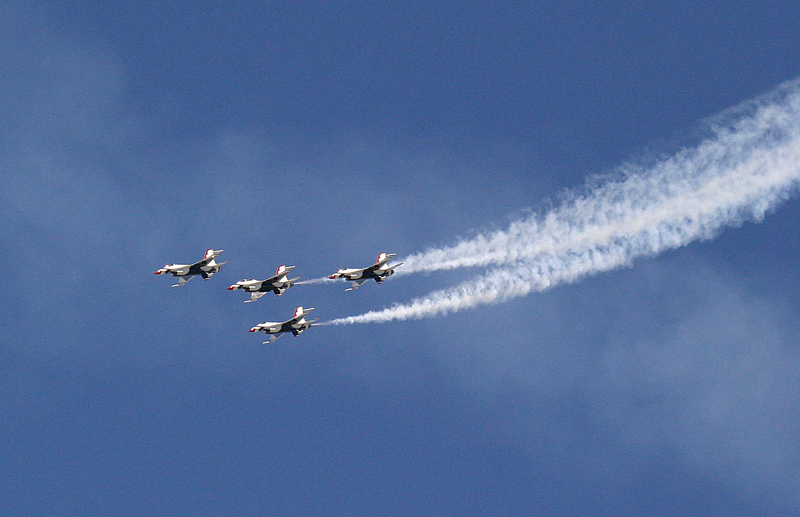 I have always liked the Blue Angels show a little bit better but the Thunderbirds certainly do put on a spectacular show. 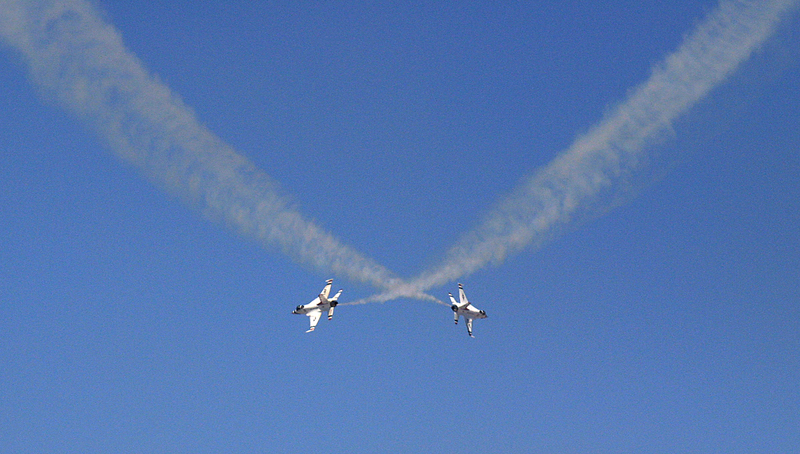 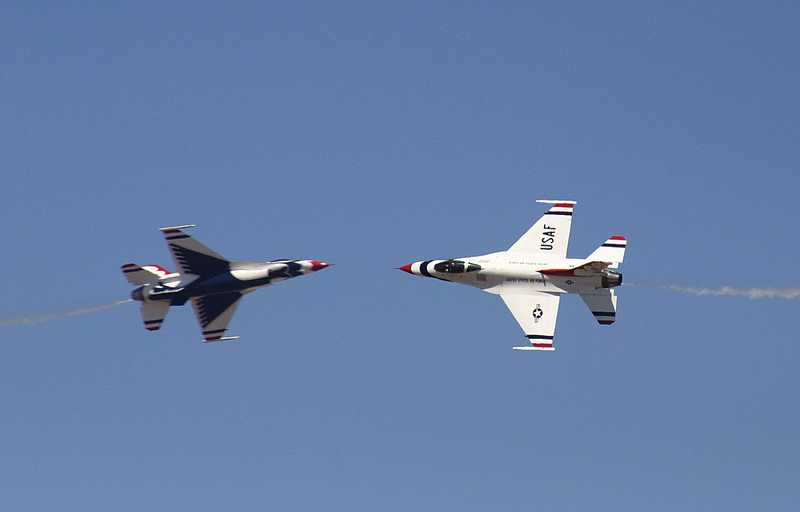 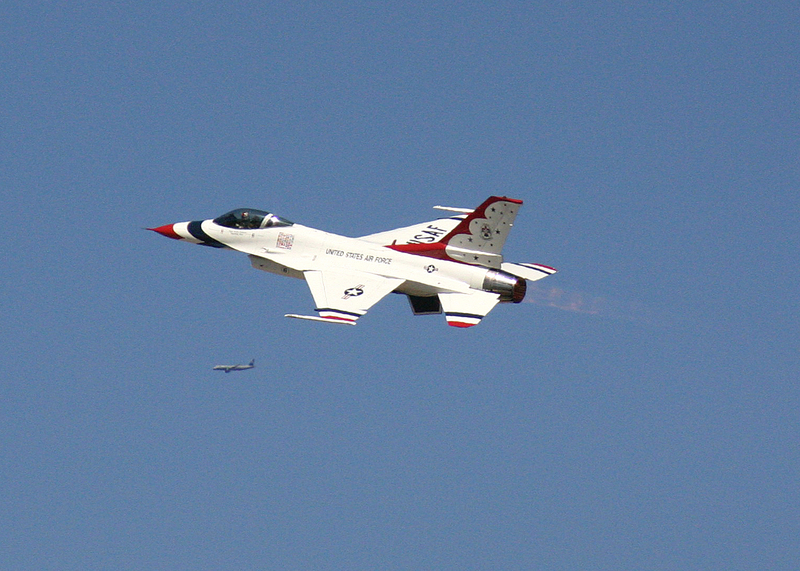 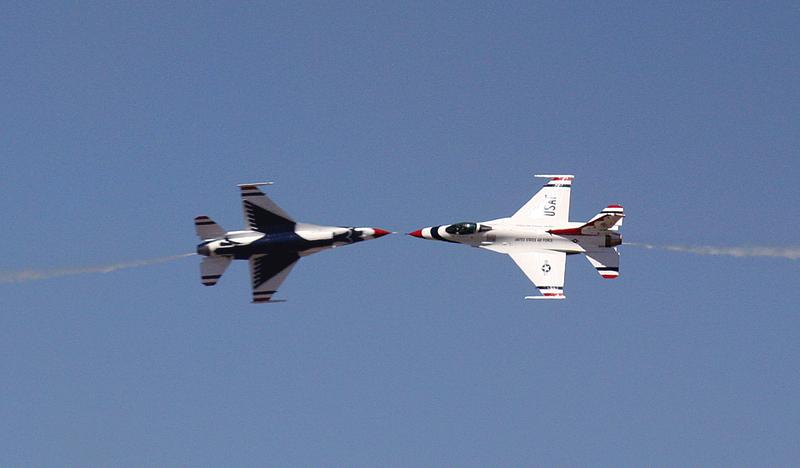 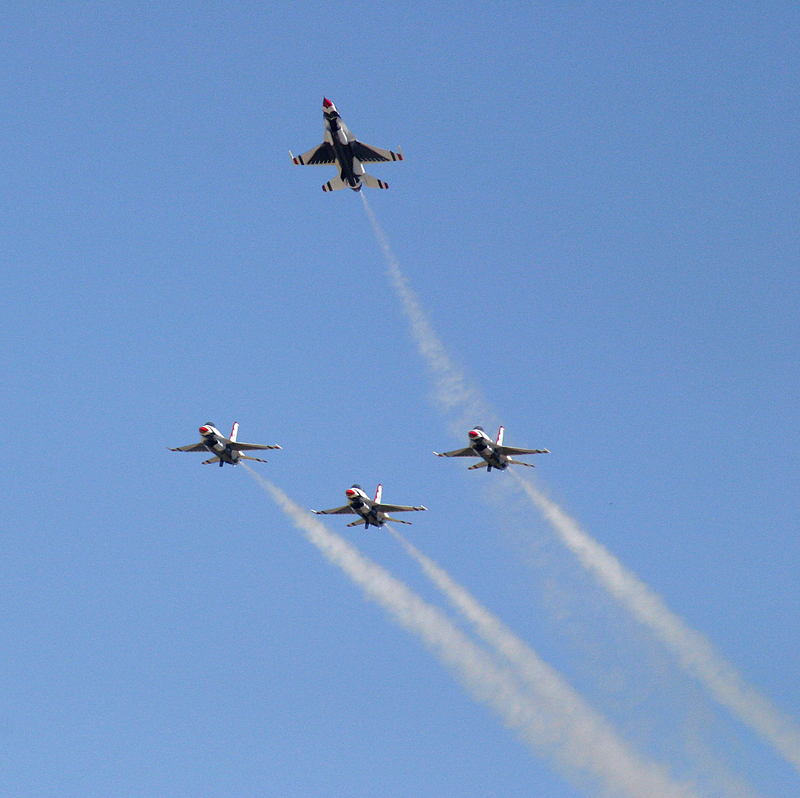 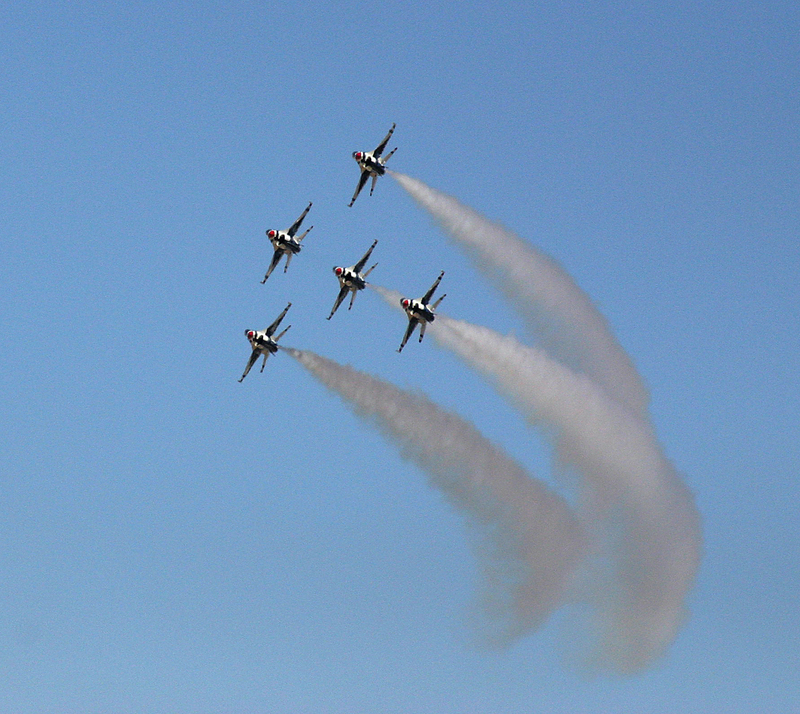 These pictures are from the last performance I saw them at over Moffet Field several years ago. 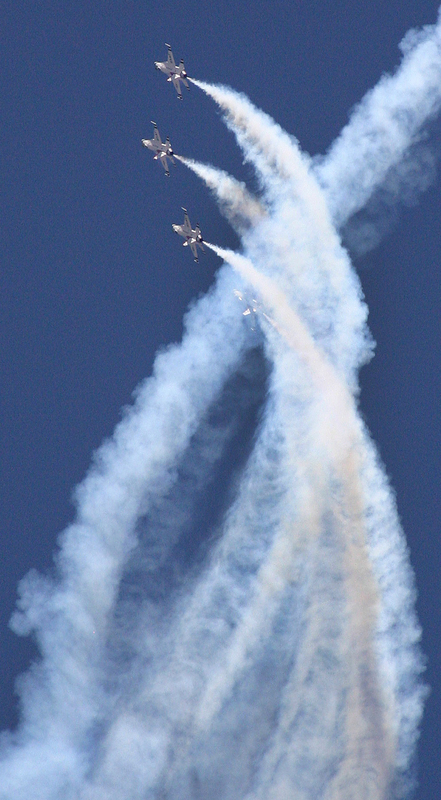 The rumble of their afterburners echoing across the flight will be a distant memory as they wait for at least the 2014 season to take to the skies once again.